With Block B‘s recent visit to Thailand, the popular news source RYT9 sat down with the young men for an extensive interview about the group’s background, current activities and more. What’s getting viewers around the world riled up is Block B’s playful attitude and a variety of comments they made throughout the video that came across as rude and insensitive. At the 9:15 mark, the interviewer asked, “What separates you from other Korean hip-hop artists?” Zico then said, “If you look at hip-hop artists, they’re very ugly. But we feel confident in our technical abilities.” The other members burst out laughing at Zico’s response, and P.O slid back on the couch, pushing his legs up into the air and clapped his hands and feet together in unison. Zico continued, “And sometimes we have crazy clowns like him.” U-Kwon continued laughing and suddenly stood up and started dancing around, followed by a loud monkey imitation as he swung his arms and screeched. What has really gripped the attention and anger of viewers was the group’s commentary on the recent flooding in Thailand. At the 12:32 mark, the interviewer brought up the crisis, to which Zico replied, “I know that many people have it hard due to the flood. With this monetary aid, we hope that you will feel better. The only thing we have is money.” To this, another member chimed in, asking how much money Zico had, to which the leader answered, “About 7000 won?” which is roughly $6 USD. The other members laughed again.With such comments, the Youtube video has quickly escalated in views, earning nearly 103,000 views with a 95% negative rating. While some fans and viewers are defending Block B’s behavior as their typical trolling, some netizens assert that the group has gone too far with this interview. The original comments by Block B have since been widely translated (and mistranslated) then distributed through the internet, sparking fanwars and arguments from the Hottest fandom and Thai fans. The issue has received so much attention that Nichkhun, Junho and Chansung of 2PM took to Twitter to comment on the matter. In the wake of the controversy, each member of Block B wrote an apology letter addressing their behavior during the interview. Read the official apologies here. uuchlalt guisan bailaach nadad yrooso ch taalagdahgvi bna thai ulsiig dord uzej bga bol manai khuniig ch bas dord uzej bnaal gj oilgono!! thai ch geltgvi khun ch getgvi yuma ghed kpop artistuudiha neriig boddog bgaada yoo bur ene bichlegiin uzheer nud horsoj chih ovdmoor nere oird ingetlee uur hursengvi !! Earlier, we reported that rookie group Block B had gotten themselves involved in a bit of a scandal concerning their controversial manners and attitude during an interview in Thailand. You can read more about the matter and watch the interview yourself here. After the video hit the airwaves, the members of Block B stepped forward to personally apologize to their disappointed fans and the general public through a post on their official fan cafe. You can read their apologies below. I apologize for our hurtful attitudes and our manners to all Thai fans and [South Korean] citizens who have given us so much love. I’m very sorry that I acted in a childish, unreasonable manner throughout the entire interview. It was an act that ignored the boundary between freedom and the line of decency. Again, I apologize to Thai citizens and fans. We will deeply reflect upon our mistakes that led to a damaged national image and and the image of its artists. I feel that we’ve shown so much unreasonable attitudes and actions so we bow deeply in apology. In the future, as a public servant, we will work hard to show a more mature image. Learning from this event, we will act more conscientiously and responsibly as a South Korean artist. I deeply apologize for my unreasonable attitude and creating a controversy due to my childish actions and not taking into account the huge pain and suffering of the Thai people due to the flood damage. Although I’ve already become an adult, I feel so ashamed of my mistaken comment that did not consider the feelings of the many casualties of the flood and the national psyche. I believe that no matter what excuse we give, our actions during the interview – sitting cross-legged on the sofa, chatting with members, damaging South Korea’s image abroad, and being unable to differentiate the line between what is right and what is wrong – were unforgivable. I bow once again to apologize for our actions. We are sorry that, thanks to our inconsiderate interview, we gave an injury to a not yet healed scar. I am incredibly ashamed. Sorry and sorry again. We feel incredibly ashamed that we disappointed with our inconsiderate Thailand interview. We apologize to all of the Thai citizens who suffered massive damages due to the flood. Also, we apologize to the citizens of South Korea for failing to uphold the national image thanks to our dishonorable actions. Watching the interview clip, we are feeling the mistakes that we have made and reflecting deeply. We apologize once again and Block B will work hard to prevent repeating these inconsiderate and disrespectful actions. I apologize from the bottom of my heart. Apart from being public servants, I apologize for not stopping the actions of my fellow members as the older brother and creating a controversy out of our actions which were against basic manners. Although we should have shown much more respect and manners asas a Korean, we apologize again for disappointing our fans and Thai citizens with our inconsiderate actions. We will reflect and reflect some more upon our actions. We apologize. 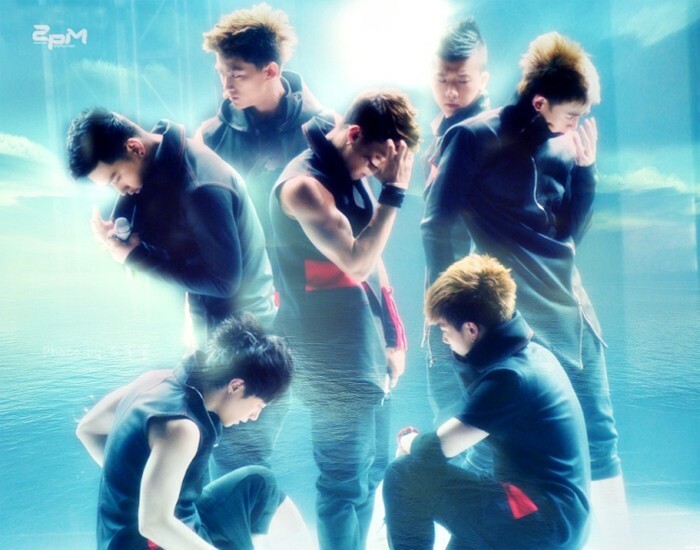 We will work hard to become a Block B which will not make these mistakes again. First, I would like to say sorry. There were many people saying, even before this interview, whether or not Block B was too free-willed, and we believe it is our fault that we did not listen to the criticism, however minute, and acting as though it was our strong point, despite being public servants in the eye of the whole nation. All of the members were immature. I was honestly surprised when our fans sent us the interview clip through SNS [social networking services]. We are the people in the video…we were the disrespectful ones in that interview, I thought, and was filled with shame. I really could sympathize with those saying that we put South Korea to shame. I once again apologize for both my refusal to control the actions of my younger brothers, and not paying attention to the interview. I will work harder. I will work harder and repay everyone with better music. To our fans, Thai flood survivors, and everyone, we apologize again. We will become a more mature Block B, and a more respectful Taeil. Sorry. Hello, this is Block B’s Park Kyung. I don’t have anything to say other than sorry. We know that whatever we say, it will only be excuses. All of our actions, from the beginning to the end of the interview, from our members’ immature actions and the joking, and our statements disregarding the severity of the incident, were out of line and we are ashamed and reflecting upon our mistakes. We bow our heads again in apology. We deeply apologize to the citizens of Thailand. Also, we are very sorry to South Korea for degrading the nation’s image and shaming them. We apologize for making people uncomfortable with our lack of respect and playful attitude. Although I should’ve been the example to the younger members, I apologize for not being able to fulfill that role. I could have set the interview on the right track, but I was irresponsible and participated in the proceedings and I apologize for embarrassing everyone watching the video. I am reflecting upon my shameful actions and lack of basic manners during an interview and looking back upon myself. There are no excuses, nor explanations necessary. I am thinking deeply about this huge mistake and will act with more thought in the future. yr n bol tiimldee bodhoor bur durgui hvred bdgiin gehde bas yahavde oorsdiihoo aldaag uharch dahij aldaa gargahgvi bh l gj naidaj bna!!! iim hereg hiisnee medersen bol alban ysnii hottestuudas bas uuchlalt guival bas deersen!!! uzen ydhan ch arai bish yuma tehdee l hehe za ter ch yahav~ duu n dajgvin bna lee!! !